The United Nations' envoy to Afghanistan is to outline a new plan on spending foreign aid, amid fears that millions of dollars have been wasted. Kai Eide told the BBC that too much aid money was spent on salaries and goods in the countries that provided it. "I think... we spend too much of our money in our home countries instead of spending it in Afghanistan," he said. Mr Eide advocates spending aid money through the Afghan government in return for a crackdown on corruption. Last month, 80 countries pledged a further $22bn (£11bn) for Afghanistan. Now the donors and the Afghan government are being told to deliver - to get schools, clinics, agriculture and electricity to the people who need it. 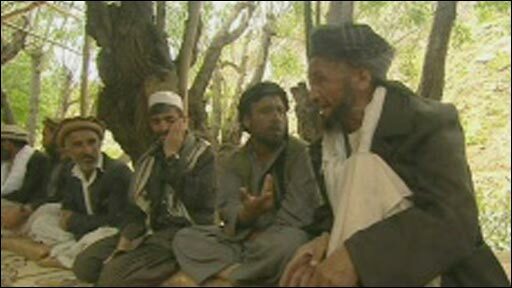 Millions in development money have notoriously gone to waste in the seven years since the fall of the Taleban, the BBC's Alastair Leithead reports from Kabul. Many countries spend a chunk of their aid through the government or on a trust fund set aside to fund National Solidarity Programmes in more than 22,000 districts of the country. Mr Eide believes more should be spent this way. In Kabul on Sunday, he will outline to the government and donors that they have got to be more co-ordinated and to deliver development more effectively and efficiently. 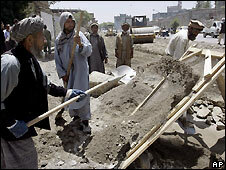 "We also have to see how we can spend our money in a way that builds Afghan capacity," he said. "We see how weak the institutions are - that we have to make sure we correct." Corruption is a major issue and the words auditing and accountability will be buzzing around the room at the first monitoring board meeting since the Paris conference, our correspondent says. The UN head in Afghanistan is trying to take control of an aid effort that many think has been missing the mark, when winning people over to the government, and keeping the Taleban at bay, is so vital for the future, he adds.